May Non-Jews Study Torah? Talmud? According to standard Jewish Halacha the Talmud is intended only for observant Jews. This is a precaution because it is VERY easy to misunderstand. The Talmud is not like the Tanach (the Bible). It consists of rabbinic debates and dialogues between our sages over matters passed down orally through our elders for 3000 plus years. 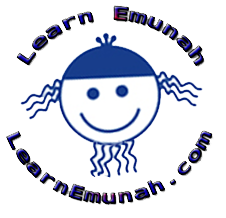 Without understanding the contexts of these discussions as well as having a very firm understanding of the Tanach it is very easy to misunderstand and come to inaccurate conclusions and innumerable pages on the internet demonstrate. The Gemara raises an objection to Rabbi Yoḥanan’s statement from a baraita: Rabbi Meir would say: From where is it derived that even a gentile who engages in Torah study is considered like a High Priest? It is derived from that which is stated: “You shall therefore keep My statutes and My ordinances, which if a man does he shall live by them” (Leviticus 18:5). The phrase: Which if priests, Levites, and Israelites do they shall live by them, is not stated, but rather: “A man,” which indicates mankind in general. You have therefore learned that even a gentile who engages in Torah study is considered like a High Priest." "The Gemara answers: There, in the baraita, the reference is to a gentile who engages in the study of their seven mitzvot. It is a mitzva for a gentile to study the halakhot that pertain to the seven Noahide mitzvot, and when he does so he is highly regarded." I conclude therefore that the balanced meaning is this: HaShem alone knows the intentions of people. Woe to those who take up our Holy Scriptures for their own purposes or who usurp our righteous observances and Traditions like HaShabbat! Such people will surely answer to HaShem! Sanhedrin 58b and 59a, like certain texts of Torah (such as Devarim 13), exact the extreme penalty on Gentiles who usurp our Traditions. The countering views offered from the Gamara here don't do much to soften these judgements. If we read only these texts and base our actions on them without context, it would appear that we are to be “Jewish Jihadis” “taking out” people of the other religions that give any credence to our Torah! I find this as unacceptable as I find the stoning prostitutes (Devarim 22:21). Such texts have not traditionally been taken literally by our sages but as ways of emphasizing the seriousness of the various problems addressed. I do not believe it would be the will of HaShem to go to a local church and kill the members of a Bible study, may HaShem forbid even the very thought! Rather HaShem blesses all who bless Israel and curses all who curse us. Using our Scriptures as a curse invokes curses, using them to bless invokes blessings.